San Francisco has countless landmarks and tourist spots, but few are associated with the city as the Golden Gate Bridge, one of the modern world’s engineering marvels. The giant suspension bridge spans the San Francisco Bay, with a length of over 1.5 miles, a height of nearly 750 feet, and a width of around 100 feet. While it is a beautiful and instantly recognizable landmark, the Golden Gate Bridge was also a very practical one born of necessity. 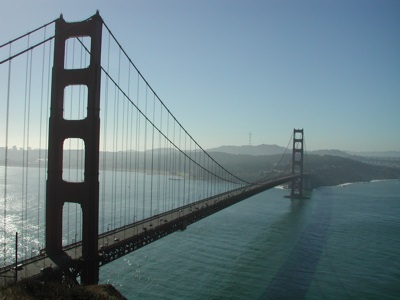 After the California Gold Rush helped turn San Francisco into a destination site, connecting people on both sides of the beautiful Golden Gate Strait became vitally important. There was a consistent ferry service in the area, but the advent of automobiles made a bridge even more imperative. At the same time, no one in the world had ever successfully built a bridge as long as this one would be, and indeed, no one else would for another three decades after the Golden Gate Bridge opened. Given its size, it should come as little surprise that the Golden Gate Bridge was one of the most ambitious and expensive projects of its age. Indeed, it would take nearly 20 years from the time the bridge was proposed to its grand opening, and it cost hundreds of millions of dollars (the equivalent of several billion today). When it finally opened in 1937, Joseph Strauss, the man most responsible for the bridge, remarked, "This bridge needs neither praise, eulogy nor encomium. It speaks for itself. We who have labored long are grateful. What Nature rent asunder long ago, man has joined today." 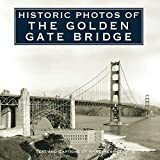 The Golden Gate Bridge: The History of San Francisco's Most Famous Bridge chronicles the story of how one of America’s most famous bridges was built. 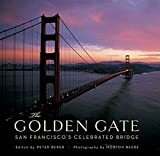 Along with pictures of important people, places, and events, you will learn about the Golden Gate Bridge like never before, in no time at all.